Case measures 46” long. Comes with a padded pistol pocket, small utility pocket, four magazine pockets, and a large tool pocket. 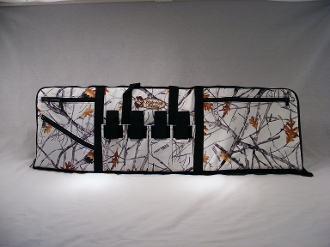 Case can be unzipped to create a roomy shooting mat. Available in White.